Osteoporosis is associated with high morbidity, mortality and economic costs among older people. For prevention to be successful more needs to be known about the right forms of exercise to take. Our bones are dynamic. 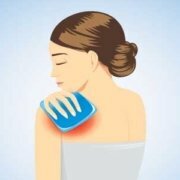 Throughout our lives, their tissues are constantly undergoing changes, referred to as remodeling. Osteoporosis is a common disease estimated to affect around 22 million women and 5.5 million men between 50 and 84 years of age, across Europe. Its characteristics are reduced bone mass and deterioration of bone structure which increases the risk of sufferers developing fractures. It has been calculated that by 2050, incidences of hip fractures globally are likely to increase by 310 percent in men and 240 percent in women. 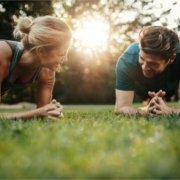 Currently, healthcare interventions are geared towards prevention, with exercise playing a key role for the maintenance and strengthening of bone density. By investigating the effects of swimming, cycling and football on adolescents, the EU-funded PRO-BONE project has demonstrated that some exercise regimes are more beneficial then others. 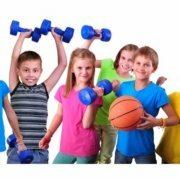 The team discovered that low-impacts sports should be augmented with short bouts of weight bearing exercises to benefit the bone health of adolescents. Osteoporosis has a strong genetic component with epidemiological studies showing that heritable factors account for 60-80 percent of the variability in bone mineral density. Both non-modifiable (e.g. hormones) and modifiable (e.g. calcium and vitamin D) environmental factors account for the remaining bone mass variation. One of the key modifiable factors being exercise. For the study, PRO-BONE originally recruited 121, 12-14 year-old males—37 footballers, 29 cyclists and 41 swimmers, with a control group of 14. Researchers followed these participants over a year as they undertook their specific sports training. For the nine-month intervention study footballers, cyclists and swimmers were randomly assigned to one of two subgroups: a control group and an intervention group. The intervention took the form of progressive plyometric jump training, where practitioners exert maximum jumping force for around 10 minutes a day, three to four times a week. The participants were then examined for their bone mass, geometry, texture and a range of biochemical markers. Comparison of the athletes indicated that the young football players had better quality of osseous (bone) than the swimmers and cyclists. 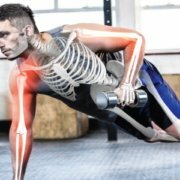 They also found that for the swimmers and cyclists the jump training could significantly improve bone quantity and geometry at the femoral neck and also the lumbar spine texture (regions of clinical relevance used in the diagnosis of osteoporosis), as well as maintaining bone turnover – the process by which new bone tissue is formed. Low impact sports such as cycling and swimming are known to have a number of health benefits, such as for the cardiovascular system. PRO-BONE’s findings that they do not however improve bone mass means that sport clubs and athletes can combine their practice with weight-bearing and high impact sports involving jumps, such as football, tennis, badminton or basketball. To further advance the work, the researchers intend to follow participants over a longer period of time to better gauge the effects of the jumping program. Additionally, they hope to measure the way the most practiced sports, such as swimming and cycling, affect peak bone mass attainment.